With your help, the Apple Tree program will help provide much needed back-to-school clothing and supplies for more than 150 children living in The Road Home, Utah’s family homeless shelter. The Road Home Apple Tree program is from July 12 to Aug 12, 2018. 1. Visit one of the participating locations (see list). 2. Select an apple from the tree. The name, age, size and clothing or supply need of a child living in The Road Home are listed on each apple. 3. Select and purchase the item for your child. items may be purchased at any retailer and should be new or unused. Items may be returned to any of the participating partner locations. 4. If you don't have the time or means to pick an apple, you can also make a contribution by specifying a donation amount below and clicking the green button. $350–Honor Roll: Your gift will provide four children with new outfits and two children with a backpack for their first day of school! $250–Merit Roll: Your gift will provide two children with new outfits and a backpack for their first day of school! 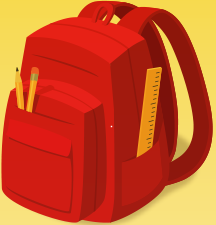 $100–Student of the Month: Your gift will provide one child with a new outfit and a backpack for their first day of school! $50–Most Valuable Player: Your gift will pay for two pairs of shoes for the children! $25–Good Citizenship: Your gift will pay for a new backpack for a child in need! Other amount: Every donation helps provide a child in need with back-to-school clothing and supplies! We'll do the shopping for you based on the children's back to school needs. Online donations will be accepted until Wednesday, Aug 15, 2018. All proceeds will benefit The Road Home directly.